NEVER EVER EVER EVER EVER EVER, DID I SAY EVER USE A HARNESS !!! teaching them what the desired behaviour is that you want them to do. not respecting or listening to their owners, once the constant pressure is removed. 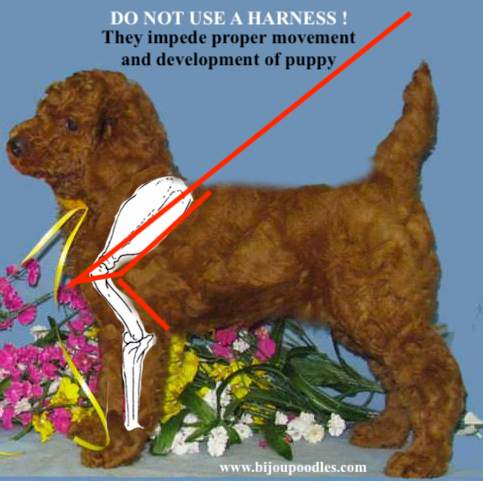 All owners accomplish is controlling direction of puppy only when halti or harness is on. There is no teaching opportunity or developing a relationship with their dog. Only bullying them and man handling them, and having pups want to escape ! best of all, you develop a loving respectful relationship with your fur baby !! 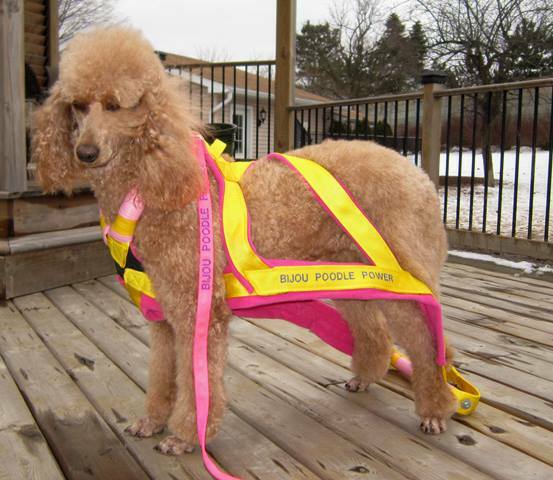 When I see a harness or a halti on a dog, I know that dog is suffering. of permanent damage that these devices cause dogs ! to teach their puppy. I feel bad for that dog. unless they are over a year of age and doing weight pulling. 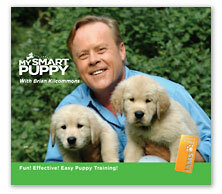 teach the owners how to train the puppy and develop a loving respectful relationship. Harnesses encourage pulling and discourage owner's being a respected partner. it takes 2-4 good corrections for puppy to NEVER Pull or Jump again !!! but educate yourself to solve the problem, not create a bigger one. to walk properly on a lead, for a lifetime of enjoyment during walks. I also need to stress, and without being politically "correct" as I have to be frank for our pups sake. to mirror qualities that you want in your puppy. puppy may have too, because again, your issues are what you are going to pass onto puppy. who has a calm state of mind, and is already cemented in their behaviour. I decided to compile video of training techniques that are similar to what I have used. I watched EVERY video put here to make sure that they are in compliance to techniques I feel will work for you. but until then I hope these tips will help you. 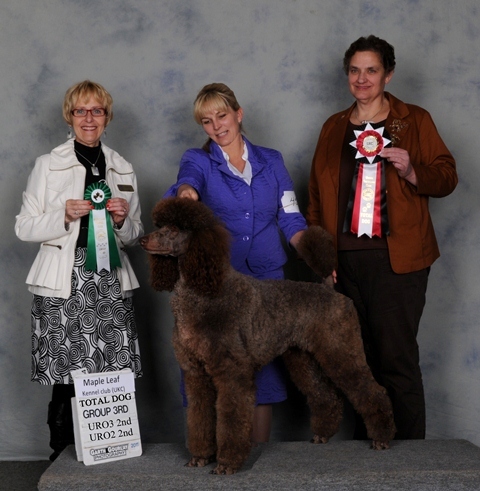 PLEASE search for AKC or CKC training Groups/Classes. and will have a big tool box of skills to offer you in your training efforts. 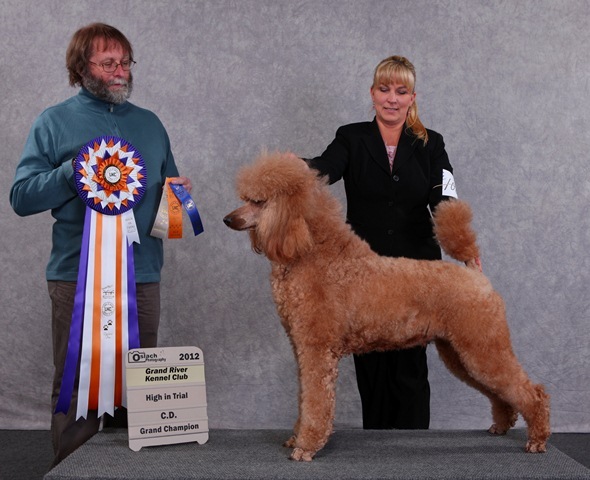 Trainers should have accomplished AKC/CKC/UKC titles on their own dogs. Trainers who have accomplished nothing on their dogs, have no proof of their ability. WHY would anyone take a chance on a "crackerjack box" trainer like that ? "we only use positive methods"
"we only teach clicker training"
Our puppy people need to find a diverse trainer, that will adapt their training to the needs of the puppy. *Avoid Classes that have web pages that don't tell you anything about their instructors. teaching them good behaviour and rewarding that behaviour also teaches them to trust you. so puppy learns that other dogs and kids means she will be punished. because the owners said she was psychotic and came to them that way. and I asked them to PLEASE return their puppy to me. we found out later they bought a new puppy to ruin. 1. She snaps and snarls when she doesn't want to do something. 2. She submissive pees all the time. 5. She will not come when called, instead she runs the other way. Sure enough I could not get near who they called "Kahlua". The whites of her eyes showed and she growled at me. I stood my ground until she calmed and I walked away. I had to attach a lunge line and she was umbilical to me for 2 solid days. I never talked to her, as I didn't want to nurture undesirable behaviour, with poor timing in my praise. Anytime she was in doubt she would pee and when she did pee, I never scolded or said anything. Us humans have horrible timing and don't speak dog, so when in doubt do not talk. Kahlua didn't know her name, so we changed that to Mocha as we had a Kahlua already. I never allowed her on the furniture, bed or allowed her to go in corners. She laid at my feet and moved when I moved. Day 4, I woke up and she came over to the edge of the bed and licked my face. and do not offer her any affection unless she comes to him. Day 4 when she went to him and he said "SIT"
and she did, he was in heaven as he knew she trusted him. We still must remain calm energy inside, as she can easy get all riled up just by playing. to work off all her energy with outdoor play time with our Poodles and visiting Dogs. Instructor's Training and educational backgrounds. 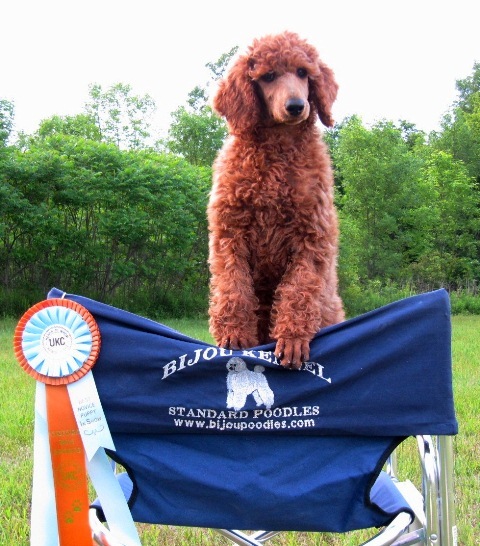 Each trainer should list the AKC, CKC, UKC titles that they put on the dogs they owned. 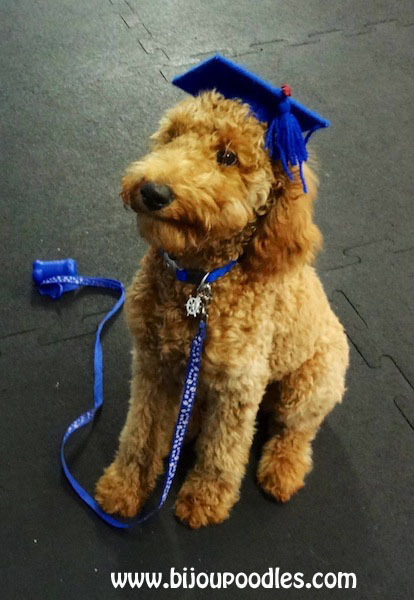 that they can draw from to assist you and your puppy during your training. and especially experience with titling working breeds or difficult breeds in AKC and UKC (not the easy border collies !). Basically if you go to class and you hear something you don't like or wish to hear, then you have found the instructor you needed ! Instructors are there to show and tell you what you need to improve on. Not to spend time going over what you already know or are good at. Even the best Poodle puppy can be destroyed by a bad owner like the above one. No leadership, no rules, no corrections will really destroy any great foundation we have laid. When you get your new puppy, they may have submissive Urination. They may also "smile" or show you their teeth. Both are VERY submissive gestures. 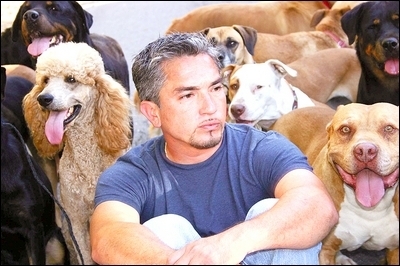 I talk a lot about being the Boss and being a good Pack Leader and physical Correction. However this is one case when THERE IS NO PUNISHMENT OR CORRECTION. when puppy is not looking or around. Submissive showing of teeth or as I call it "smiling" usually does not go away and this is OK. 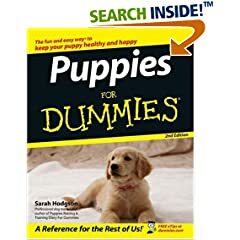 So it is imperative that as soon as you get puppy you show them how to "get the toy" or "fetch" or "sit" or "shake paw"
because they will learn that this makes you happy and they will offer this behaviour, instead of peeing. another dog or human that they feel is superior or is intimidating to them. across is that dogs are dogs—not humans! Find a canine solution. Often, the solution we would use for a human is totally wrong for solving a dog's issues. For example, when a human sees a scared or nervous dog, s/he will first offer comfort and consolation. This would never happen in the animal world and can make the problem worse instead of better, because it reinforces unstable behavior. never baby talk or coddle your puppy. BE SILENT and let puppy figure new situations or things out for themselves. GIVE them the time they need and stay out of the way. Speak the animal language. When dogs come into our homes, they meet emotional energy for the first time. We shower them with affection and babble at them in high-pitched baby-talk, so they see us as excited energy. This is why many dogs don't listen to their human caretakers. Their mothers never acted this way, where did that calm-assertive leadership go? STOP TALKING. Our talking and or praising confuses puppy. Never repeat commands. Say it once then show puppy. Treat your dog like a dog. 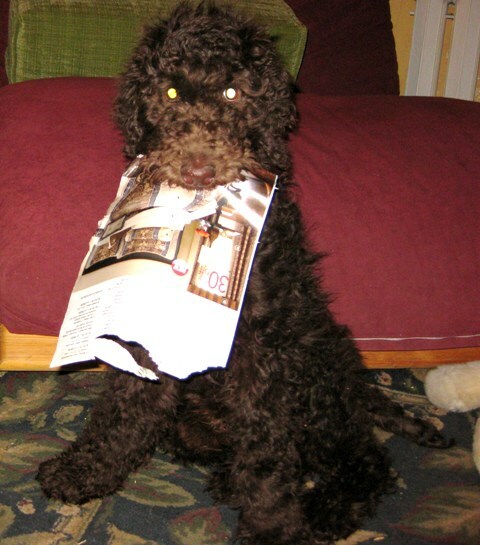 We often develop a different agenda for our dogs. We want to make puppies our babies. From day one, many humans forget to fulfill and understand their dog's needs and instead project their own needs and desires on the animal. NEVER give free treats or affection. Give a known command such as sit, then reward with a pat, a "good puppy". giving the command "sit" then rewarding with "food". Puppy just learned what behaviour pleases you and will now offer this instead of jumping. will seek to fill what they see as the vacant leadership role. The dog will ignore the owner, act out, and can lead to serious behavior issues. Imagine if your significant other mistook your needs for the needs of a chimpanzee, where would that leave you? Confused and disoriented. It's the same for dogs. But their confusion and disorientation manifest in bad behavior such as tearing up the couch or incessant barking. If we don't fulfill them as a species, our dogs will not live a balanced, centered life. Never owned a puppy before ? I have read it and it is great for beginners. 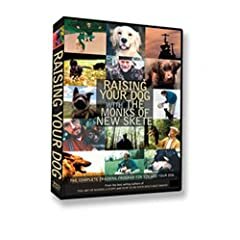 I have not viewed this DVD or the book but puppy buyers of mine have and found this useful. THIS GUY IS MY ULTIMATE FAVOURITE !!!!! a perfect family member, welcome everywhere. 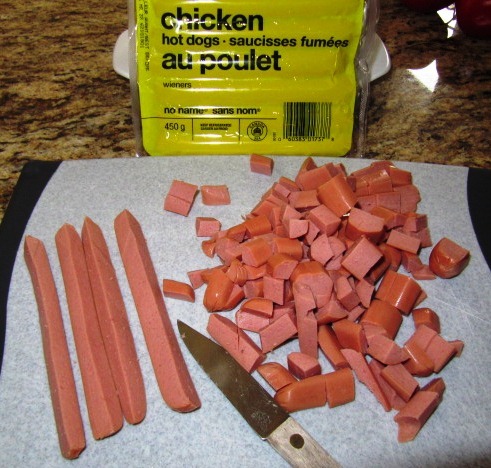 We chop up chicken weiners 4x length wise and then chop into tiny bits. Put bits into a baggy or treat bag clipped to your belt or in your pocket. We then take puppy to the yard or safe field. we pop a tid bit into their mouths and praise. 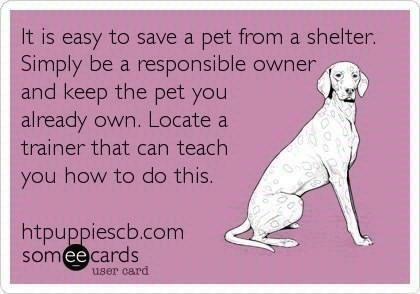 Do this a couple times when puppy is on leash and near you. Puppy now knows that we have goodies and they will get them if they come or look at us. We then let puppy loose (if fenced area and puppy has all vaccinations) and walk away, waiting for them to get distracted. Backwards with a treat in our hand that they can see. Both the running away and treats will entice the puppy's natural instincts and engage the puppy. when they arrive like it is the best thing in the world that they did! Get up and keep on walking and repeat up to 6 times when puppy is distracted and not expecting it. But not too much that they are bored. Usually running away from the dog works to bring them to you quickly. if puppy is confident and happy with the game. When puppy finds us oh wow "Good Puppy" and treats. We then start to let them get further and further away making the hide and seek more challenging. Eventually you will have a dog that LOVES coming to you and no matter what they are chasing or tracking. and not feed the dog before the walk so he is extra ready to earn some food. When the walk is over and you are putting puppy into a crate or car have a "jackpot"
of treats waiting, meaning more than the usual few peices. This is extra reward for going home so that going home is a good thing for the puppy. Chicken products from China causing intermittent vomiting and Diarrhea and killing dogs. and the FDA's link about chicken jerky treats and Glycerin. When you first get the puppy you MUST teach them what you WANT them to do. What behaviour is GOOD before punishing them for what is bad. So when you get puppy home get a toy they seem to like and play it up and PRAISE. put the toy in in their mouth and PRAISE ..silly, happy, praise so that they know this makes you happy. and puppy is calm and receptive and not wishing to play or you will get nipped. Another idea is when puppy bites you can grab scruff of sides of puppies head, firm shake and a LOUD, Growl say "NO BITE"
lifting the front paws off of the ground when you do so and be serious and calm and firm...release and walk away game over. but that is ALL because I enforce fair rules to them and don't allow it. Always clean puppy's accidents when puppy is outside and can't see you. Remember what goes in, has to come out 20-30 minutes later so only leave food down for 5 minutes and remove. After 5 minutes, food dish should still have food remaining and if not, increase rations. The "Match Stick Trick II" - used to teach a puppy or dog to defecate on command, its working. Less chances of them grabbing anything to pull in and destroy or choke on. 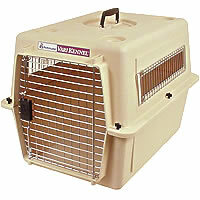 Plastic cages also don't have bumpy bottoms like the wire one with a tray will have. We have had our dogs come up lame from wire cages. Wire cages are also noisey, rust and damage your floors. ANY name brand will be fine. and the size that puppy will be shipped to you in. should do a lifetime, for short time confinement. are reasonably priced. Do not get the "wire" cages. NEVER USE A HARNESS AS THAT ENCOURAGES PULLING !! 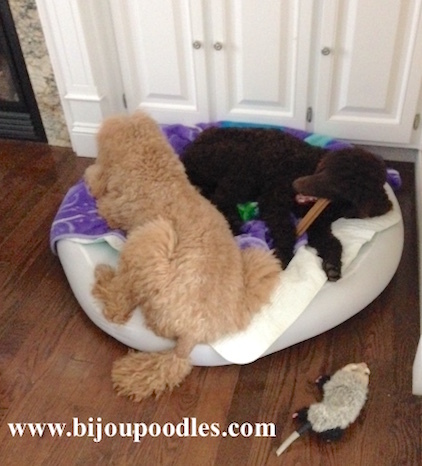 Bijou Poodles does not default to the use of food or treats during obedience training a 6 month old and up age of Dog. Body language and tone of voice are powerful motivators when used properly. A clear leadership role is what your dog is looking for. between you and your dog. Food based training has become heavily relied upon in the last decade. your dog's natural pathways to learning first and earn their respect as Pack Leader. they have treats in their hands by lining their pockets and their finger tips in scent of treats. It is just sad that they so lack the wonderful relationship with their dogs that can be achieved by respect. 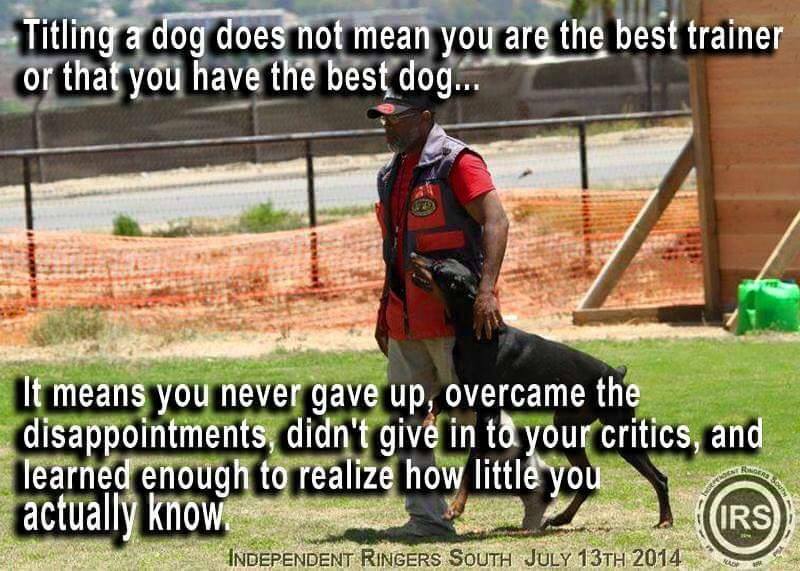 Lets face it if every time you want your dog to listen to you, you need food, what have you really achieved ? We use a flat collar if your puppy/dog is under 1 year of age and move FAST to keep them engaged. DO NOT WAIT FOR YOUR DOG !!! Choke collars have a place in training because it is a quick.. QUICK ..snap... "attention getter" or reminder. NEVER EVER put constant pressure on your dog's collar... if your leash is tight you are doing it wrong. 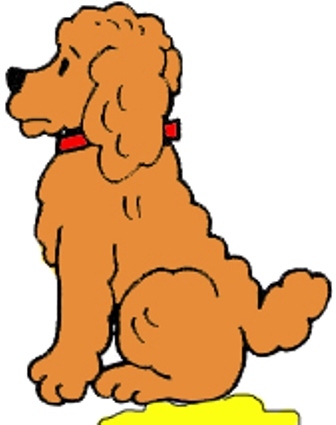 a happy "watch me" game like voice and be quick to praise "good puppy" when the dog comes to your side and looks at you. Praise every time the puppy looks up at you as that is the behaviour you want to encourage. MAKE sure you learn how to use it properly. choke collar should ALWAYS be SLACK no pressure on it. No more than 10 minutes training in the beginning. I also use quick turns and slack leash so they get a "correction"
because when they catch up to your side this provides a learning opportunity for them because then you will praise "good puppy"
If poodle gets distracted by squirel or barking dog or anything.. Yeah... a learning opportunity. and poodle will run to catch up to me putting their attention back onto me in a positive manner. I NEVER wait for a distraction to leave, but rather use it as a training opportunity. 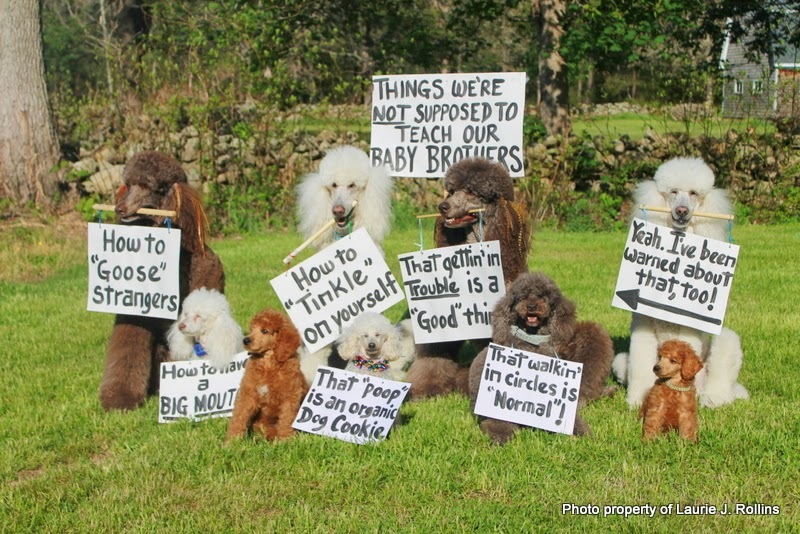 After all you want an obedient reliable poodle not one that chooses when it will listen to you. a big grin on their faces and tails wagging with a prance in their step eliciting laughs from the crowd. Poodles soon learn it is fun and that they get praise for keeping by my left leg. Please keep in mind my training sessions are Only 5 minutes to 10 minutes long. Sophie 4 weeks later getting her Rally Obedience Level I title !!!!!! running in the forward direction past the oncoming dogs with a happy "watch me". look to you to see where you are going, instead of the oncoming dogs or people.